Looking to get behind the wheel of a new luxury vehicle, but want to offset the cost as much as possible? 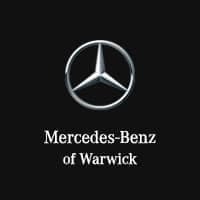 Value your trade at Mercedes-Benz of Warwick before even stepping foot in our dealership near Providence! All you need to do is input your vehicle information below, and you’ll get a quick and easy quote so you’ll be ready for your new or used Mercedes-Benz before the moment you set foot in our dealership. If you have any questions, feel free to contact us or check out our payment calculator before visiting us near East Greenwich!